The dental practice business is increasingly heading more into the digital world – where companies are looking to acquire most of their new customers, especially the Millennials (aka Gen Y) and Gen Z demographic cohorts, through online marketing efforts. These same dental companies are looking for marketing services such as website design and development, social media management, content marketing, search engine optimization (SEO), pay per click management, and pretty much any campaign or effort that makes a positive business development impact. Specialist in Windsor, Chatham, Burlington, Oakville, Mississauga, Brampton, Vaughan, Ontario, Vancouver, Burnaby, Coquitlam, Richmond, Maple Ridge British Columbia, and we are growing FAST! This package will get anyone started with a good web presence. With keyword tracking to help gauge progress, finding and creating backlinks to help give your site the Authority it needs to get noticed by major search engines such as Bing and Google. If you want to kick it up a notch our Competitive Package might be for you. With this package, we include blog posts to provide original content for your website or social media. We will track keywords for your business and provide on-site optimization. We also will help optimize your Google My Business and Bing Places for Business. The Aggressive Package is just that if you are looking to really get noticed on the web. This package is for you, with extra blog posts, extensive keyword tracking for you and your competition. Extensive backlink building to help bring more traffic from areas other areas of the web. If you have any questions or would like to learn more about what SEO can do for your business. Simply provide us with your name and email and we will get in touch. Find out exactly how online marketing operates and take the first step towards putting your business in front of people who are looking for it. We at Nomadic Advertising have our finger on the pulse of online marketing so that your dental practice can focus on what it does best – taking quality care of your customer’s teeth. We offer a wide range of online marketing services from website building and updating, ranking targeted keywords on search engines, creating fresh and high-quality content, bringing in potential customers via pay per click campaigns, and other digital marketing services to take your business development efforts to a whole new level. Contact us now so we can have a conversation about your online marketing needs, and how Nomadic Advertising can become a valuable partner for those important efforts. 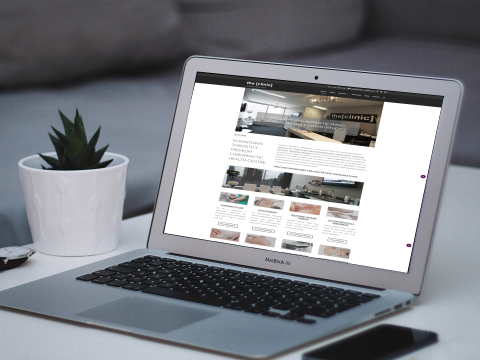 Your website is a significant marketing component that can’t be overlooked, or undervalued! You can spend all the money you want on online marketing efforts for your dental company, but without a solid central hub to send targeted traffic to, that money is wasted. You need a website that communicates value, is professional, comes across as trustworthy, and gets visitors to actually take action – such as signing up for an initial dental consultation for example. 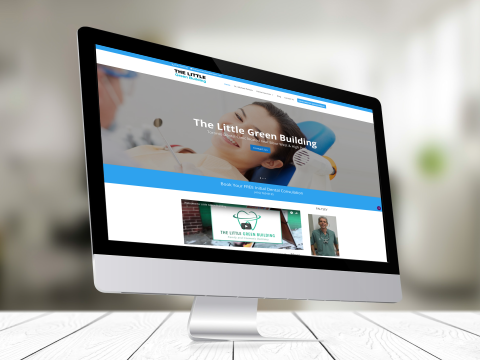 Nomadic Advertising has an incredibly talented design and development team who can either build your dental company’s website from scratch or can re-imagine it to make big positive changes. Your dental company needs to be discovered to gain customers that otherwise wouldn’t come through the door, and the best ways to accomplish that goal is through natural paths. Search engine optimization is really gaining in traction from a marketing perspective because there are billions of organic searches being done every day, and the people doing them are looking for specific products and services at that exact moment in time, and are very motivated to take action. We specialize in SEO strategy to help dental companies rank their website highly in Google and other top search engines for targeted industry keywords, so they can get found by residents in and around their practice’s area who are looking for a quality and experienced dentist to take great care of their ongoing dental needs. SEO is an investment that every dental company needs to take serious going forward. Over half of potential patients depend on online content when researching new dental care providers. Customer reviews are heavily valued to learn first hand what can be expected from each dentist office, and if the majority of the reviews aren’t positive, then those options are ruled out. We live in a very transparent world now, and so the great companies bubble to the top and are doing better than ever, and the others are getting left behind and eventually going out of business as they can’t acquire new customers. The more that content is customized and personalized, the higher the odds that those prospects will become customers. Information is power, and the more a dental company has about potential patients, the more they can craft their marketing messaging to build relationships, and then those can be leveraged to get those people into their practice to get treatment services. Our content creators are experts when it comes to learning about prospects and their unique needs, and then personalizing content that resonates with them. People of all ages and based in locations across the world, now spend a large percentage of their daily time engaging on social networks, and that time investment is increasing year over year. Facebook alone has over 2.3 billion active users, and they rely on the platform to build and maintain strong relationships, and emotionally engage with family, friends, colleagues, and online connections. We pride ourselves on providing dental companies with the ability to build strong profiles on social channels so patient prospects can get to know, like, and trust your brand, and learn about all of the wonderful services available to them. A large percentage of digital ads are ignored as they aren’t targeted, timely, or relevant to the audience that a dental company wants to reach. You need to focus your click advertising efforts towards patient prospects who are looking for a new dental provider, who live, work, or commute around your office’s location, and who have needs that your dental practice can address through related services. Our pay per click experts specialize in creating hyper-targeted and eye-catching ad content for dental companies, and adapt to the online channel where the new potential patient is at the time – whether that’s on a search engine site or on one of their content channel partner’s sites, and if they are on their computer, mobile phone, or tablet, or elsewhere, we have a deep understanding of each user’s experience in real-time to maximize the number of targeted clicks to your website.